This week's top pick is a 1974 West German film called "Ali: Fear Eats the Soul". Directed by Rainer Werner Fassbinder, it is one of the most highly acclaimed works to come out of the New German Cinema movement, fostered by the Oberhausen Manifesto of 1962. Following the lives of two unlikely companions, it tells a story of love and intolerance in post-Hitler Germany. "Ali: Fear Eats the Soul" centers around Emmi - a German cleaning woman in her 60s - and Ali, a Moroccon immigrant worker in his 30s. The pair meet in a bar in their local German town, where Ali (El Hedi ben Salem) is often found kicking back with other compadres of Arabic origins. Their introduction comes about when Emmi (a terrific Brigitte Mira) enters the bar, entranced by the Arabic music. Upon the encouragement of one of the women in the bar, Ali approaches Emmi for a dance. Almost instantly, the pair find a common understanding and an extended nightcap in her home turns into a full-fledged romance. But their bliss is soon degraded by society's scorn, as many of the locals (especially Emmi's own family) dissaprove of the match based purely on racial grounds. With the pressures of society bearing down on them, their relationship is put to the test. It's said that "Ali: Fear Eats the Soul" was influenced by the conventions of melodrama, particularly the films made by noted director Douglas Sirk. 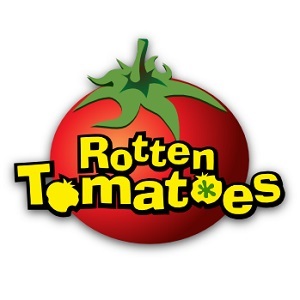 But what immediately struck me about this film was its subtlety. Sure, it's about a taboo love affair, but it largely avoids the extremes of emotion and plot turns which define the genre. The biggest turning point in the film is an impromptu marriage proposal between Emmi and Ali. Yet despite the big ruckus it causes, the scene is presented as simply a pragmatic solution to loneliness and unhappiness. Indeed, the performances and script never go over the top in their delivery. The two leads act with a matter-of-factness that's a little stilted at times, but is very efficient and effective. On the screenwriting side, Fassbinder eschews any elaborate turns of phrase for a simpler, more direct approach which pays dividends in the long run. Aside from the sociocultural aspects, the film also examines some of the struggles which plague all relationships. As Emmi and Ali's marriage progresses, the necessity of selfless compromise comes across so clearly. It's a testament to the filmmaker and his cast that a simple conversation about couscous could have such potency. In the end, it's this refusal to be overtly poignant that has allowed "Ali: Fear Eats the Soul" to stand the test of time. Its portrayal of infidelity, class conflict and racial discrimination is well-considered and moving. This was my first Fassbinder film and it's truly a great place to start. I'm looking forward to checking out more of this work for my marathon. I've got Marriage of Maria Braun and Veronika Voss lined up. Great review here. 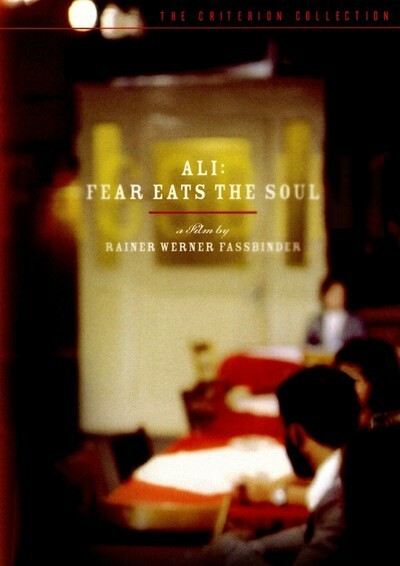 Ali: Fear Eats the Soul is still my favorite Fassbinder, and I agree, if you're new to him, this is a great place to start.